Labor Standard Inspectors. They are the men and women who work day and night to protect the rights of workers and employees from malicious employers who ignore the country's labor laws. Danda Rin just recently got transferred to the Geinan Labor Standards Inspection Office. She is extremely serious about her work, and will not stop for anything to bring down the hammer of the law on employers who treat their employees as if they are disposable. 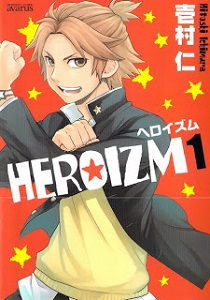 Akaboshi Tetsu sees an ad for a part-time job as a hero, and thinks it might be fun to be in some kind of hero show. However, he was mistaken--the ad was not for a hero show, but to recruit an actual hero! He passes the interview, and before he knows it, he's gained super powers and the ability to transform into the Red Ranger of the local group of heroes. The other heroes are Keiko (Pink), who seems to fluctuate between being a hot young woman and an old lady, a tough little dog named Cerberus (Green), a guy who looks like an ancient swordsman, Kennosuke (Blue), and the little boy Riki (Yellow) who is shockingly strong. Together, they will defend their town against villains, such as aliens! Rudolf Turkey is a wealthy, smooth, cigar-smoking man, who also happens to be the acting mayor of the desert city of Gond Land. Gond Land is a place where money is power, and there are many casinos and show girl clubs. Rudolf gets into his share of questionable situations, such as making a bet out of foiling a bank robbery, or fighting with the mafia over the control of a club with lovely girls. With the help of his surprisingly skillful secretaries (Egumarinu and Momoko), Rudolf usually comes out on top. However, he doesn't seem to be able to get the woman he desires, a lovely woman in the town called Lapan, to fall for him! This is a story of the man that had the most failures and success during the war periods of Japan. During the Tensho era, Oda Nobunaga has begun his new administration. 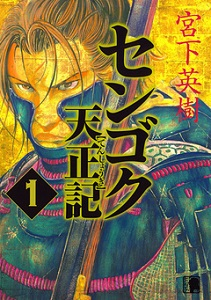 As part of the Nobunaga house, and under Hashiba Hideyoshi, Sengoku Gonbei Hidehisa (22 years old) became a warlord governing the Sengoku lands. Preparing for the war against the Takeda family, he will do whatever it takes to bring power to the Nobunaga family, no matter how many times he fails! The Japanese National Diet building has somehow been scooped out of the earth, with all the congressmen inside. They don't know where they are, but they still have power and internet, and a small opening to get food and supplies from Earth. Therefore, their needs are taken care of, but they are trapped completely. Among the congressmen, there are a group of 20-something men who are not generally respected as politicians. These are congressmen who were chosen to improve the image of their parties. Among them are former idols and entertainers (Makise Jin, Yoshizawa Rei), a former comedian (Himei Shougo), a former Olympic figure skater (Ichinose Daiki), an ordinary office worker (Momosawa Kenta), and one young man who really has a passion for politics (Uesugi Ryou). Three weeks into their confinement, they happen upon a young girl who has mysteriously appeared in the building. 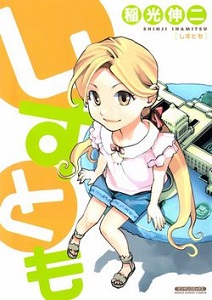 She remembers nothing of herself, except that her name is Itagaki Taisuke, which is actually the name of a famous historical Japanese politician. 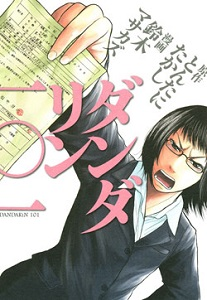 Could she really be Itagaki Taisuke reborn, come to help them become better congressmen? 2000 years ago, there was a battle between a warrior and the demon king. Through this epic battle, the demon king won. Now, there are kids between the ages of 12 through 18 that are direct descendants of the demon king. They each have unique transformation powers that allow them to turn themselves into varying monsters, such as slimes and golems. Imaichi Butsuko and Hinase Suiren are both one of these monster kids. With the impending resurrection of the warrior, these kids enjoy their daily school lives while preparing for battle! As in the story of Adam and Eve, this world is full of "fruits" of godly knowledge. They allow people to do things that are beyond normal human knowledge, so they are referred to as "Unknown." To use them, one needs to be in a pair, an "Eve" who knows the fruit and can dispense its knowledge, and an "Adam" who can use its power. 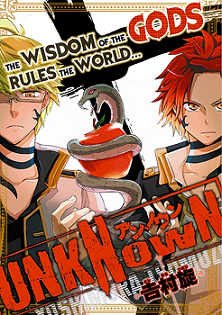 Ox and Iwan are one such pair, and they're tracking down and gathering all of the other "Unknown," but what is their final goal? Shisutomo was actually very interesting, but I get the feeling it might become a bit too much about politics for my taste. 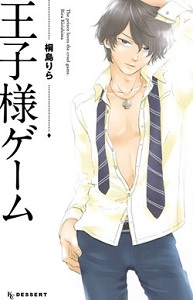 Oujisama Game was pretty good (I thought the female lead was great), and it is a complete story in one volume. 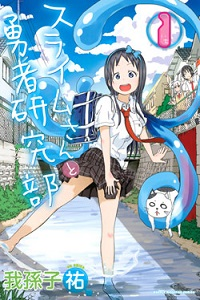 If you haven't done so already, check out the scanlations of the mangas from previous shout outs which have been recently scanlated: supernatural school life comedy Pupipo! (MH link), psychological action Destro 246 (MH link).